#18 Gauge Wire - 50 foot rolls (Dark Annealed)Sold in 50 foot rolls. 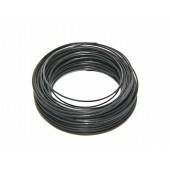 As low as $1.45 per lot.&n..
#18 Gauge Wire - 50 foot rolls (Dark Annealed)Sold in 50 foot rolls. As low as $1.35 per lot.&n..
#20 Gauge Wire - 50 foot rolls (Dark Annealed)Sold in 50 foot rolls. As low as $1.10 per lot.&n..